SANTIAGO, Jan 4 2014 (IPS) - An organisation that brings together some 10,000 peasant and indigenous women from Chile is launching an agroecology institute for women campesinos, or small farmers, in South America. For years, the National Association of Rural and Indigenous Women (ANAMURI) has been training thousands of people through La Vía Campesina, the international peasant movement, working on the basis of food sovereignty, which asserts the right of people to define their own food systems. But today it is undertaking its most ambitious project. The Agroecology Institute for Rural Women (IALA) will be the first in Latin America to only target women. It is taking shape in the town of Auquinco – which roughly means “the sound of water” in the Mapuche indigenous language – in the district of Chépica, 180 km south of Santiago. The training sessions have already started, even though the building isn’t ready yet. “We aren’t pursuing a dream, but a challenge,” the international director of ANAMURI, Francisca Rodríguez, who will run IALA, told Tierramérica*. “It is essential to find ways to make it possible for us to continue surviving and existing as an important segment of agriculture amidst the fierce attack on campesinos, which has to do with productive sectors but also with the models of consumption,” she said. IALA is focused on defending campesino family agriculture, she said. It’s an effort to join in “the big task” of the Agroecology Institutes of Latin America, from which it took its acronym, she said. These projects began in Venezuela, where the first agronomists – all children from campesino families – have graduated. The IALA institutes were replicated later in Brazil and Paraguay, as well as Ecuador and the rest of the Andean region. The latest major achievement has been the SURI Campesino University, which opened its doors in Argentina in April 2013. “It’s important for us to have professionals in the field of agriculture, in order to help achieve food sovereignty, and to continue along this route which requires specialists who have come from the land itself,” Rodríguez said. “No one better than campesinos can feel the need to continue developing agriculture that is at the service of humanity,” she added. Rodríguez said that in ANAMURI “we understand the challenge,” and while the institute will initially focus on women from the Southern Cone of South America, it could later be expanded to incorporate men. In Auquinco, they have a one-hectare plot and a large house where the students will stay, purchased for just 23,000 dollars. They said the price was low because after the former owners, a couple who had gone into exile during Chile’s 1973-1990 dictatorship, returned to the country, they decided to sell the property to the women so the group could do good work with it. Because of the damages it suffered during the February 2010 earthquake, however, the house needs extensive repairs, though the architects that evaluated the damage assured them it will maintain its character as a traditional rural dwelling, after the renovation. The repairs must begin as soon as possible, said ANAMURI director of organisation Alicia Muñoz. “During the current [southern hemisphere] summer, we have to organise brigades of volunteers to help us fix up the house and the grounds, so that it won’t lose its original character,” Muñoz said. 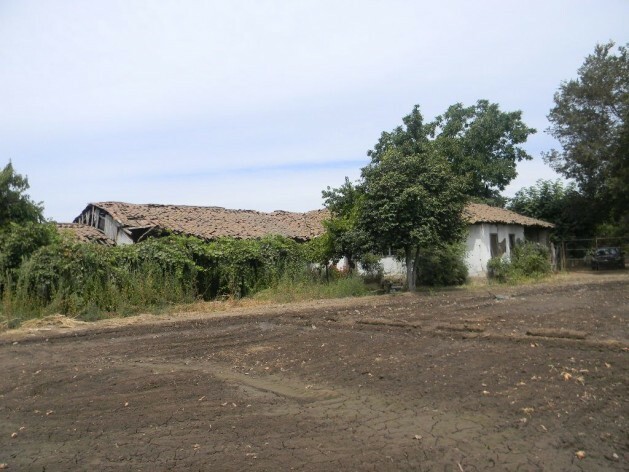 ANAMURI decided that 2014 would be “the year of restoration” – a volunteer campaign that starts Jan. 4 with a visit to the building to clear the overgrown vegetation and begin the most urgent part of the remodeling: fixing the roof. “Our dream is having an institute for the conservation of the kind of agriculture that women know how to do, that is truly trustworthy from the point of view of health and nutrients,” Muñoz said. In the history of Chilean agriculture, men have always dominated the scene, “with women relegated to the domestic sphere, to the processing of food, keeping house and raising the small livestock,” anthropologist Juan Carlos Skewes told Tierramérica. But “their contribution, in my view fundamental, to agricultural work and to the alternative development project that is the vegetable garden, has been forgotten,” he added. “Every vegetable patch, every campesino family farming practice, involves biodiversity, conservation of genetic material, the possibility of reproducing seeds and making better use of local resources,” said Skewes, director of the School of Anthropology at the Alberto Hurtado University. “There is also the question of better coordination of resources, self-sufficiency and strengthening local economies,” he added. “So, summing up, there are autonomous projects, a capacity for self-management, autonomous sustainable production, and management of non-genetically-modified material, and there is a chance to counteract, resist or challenge industrial processes in agribusiness, as well as the food processing industry,” he said. In ANAMURI, the new year is full of hope. The participants are confident that the new government, to be headed by a woman, socialist former president Michelle Bachelet, will open up doors for them to strengthen their work. They are also confident in receiving support from the United Nations, which declared 2014 the International Year of Family Farming.